My story begins with its conclusion: I came with a certain picture in my head and came back with entirely new impressions. The last time I had the chance to visit South Korea, Seoul and Samsung was almost a decade ago. Much, if not most, of what I remembered about the city and the company has changed since then. All this meant was that I had to reconfigure my perspective. There’s an old adage that you have a lot to report every time you make a journey. Maybe that’s true, if you consider that I’m more than 5,000 miles away from where I’m from as I’m writing this. Not just Seoul, the huge metropolis on the border to North Korea, has changed. The company I’m visiting has changed as well. It all surprises me. After all, I’ve had a strong relationship with Samsung over the past decade. I know the people of the company, its products and its point of view. At least that’s what I thought. I don’t have to go over everything I know about the company, but this time I’m taking many new and different impressions home with me. For this reason, I’ve decided to split my thoughts into several articles that will be published in the coming days. It would probably be too difficult for me to squeeze it all into one story. Seoul is a city that has always been far ahead of its time, or at least that was the case 10 years ago. It’s modern, lively, fast and seems to constantly be changing. 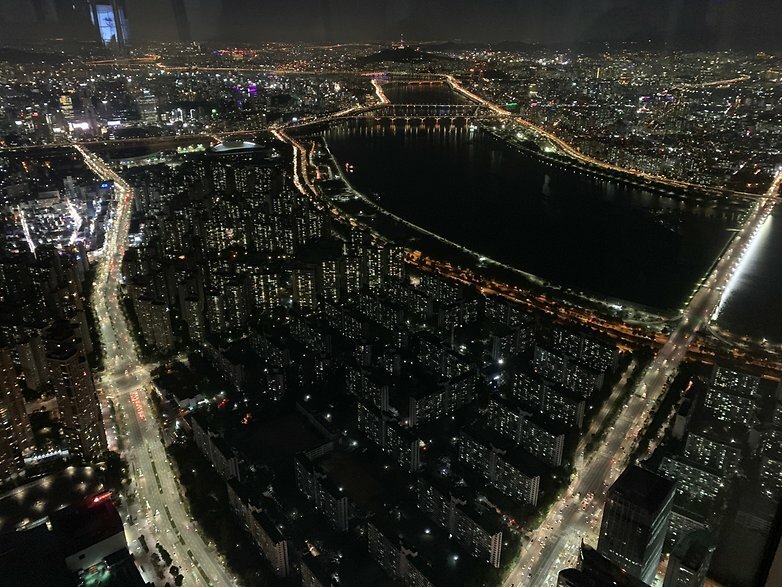 A good 10 million people live in Seoul. An incredible 25 million people live in the urban agglomeration. That’s amazing when you consider that South Korea only has 50 million inhabitants. That means more than 50% of its inhabitants live in and around the capital. You’re immediately seized by this metropolis. It’s not just the huge, beautiful skyscrapers with their magical lights. And there’s the high mountains that give the impression that they’re embracing the city. There’s also this feeling that technology is always surrounding you. It just shows you how backward we can be in western countries. Oh and one other thing: there’s really fast internet everywhere. Large, bright monitors with razor-sharp images and movies seem to be almost everywhere. The streets are as clean as those in Switzerland. People are always smiling. Although you’ll notice that it’s difficult for them to speak English, they’ll sure do anything to help you. But you have to wonder about how Koreans communicate outside of their own country. I’ll be coming back to the topic of “communication” later on when I talk about Samsung. Innovation. And no bullsh**, please. 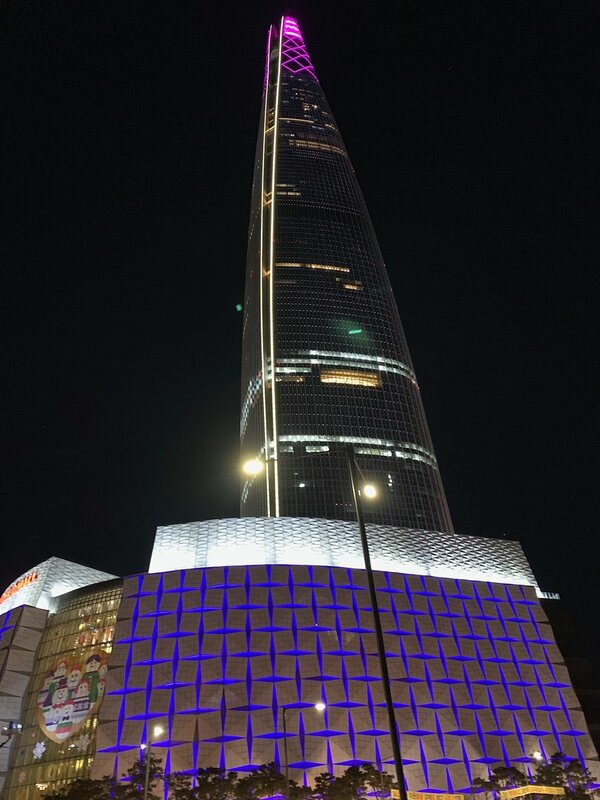 It’s not clear which came first: the innovative Seoul that shaped Samsung, or perhaps it was Samsung that so immensely changed the cityscape with its innovations. The latter shouldn’t be dismissed as improbable. I read once that as a corporation Samsung accounts for around 20% of South Korea’s gross national product. Yes, Samsung wants and needs to be innovative. It’s amazing what happened to the small trading company that was founded in 1938. 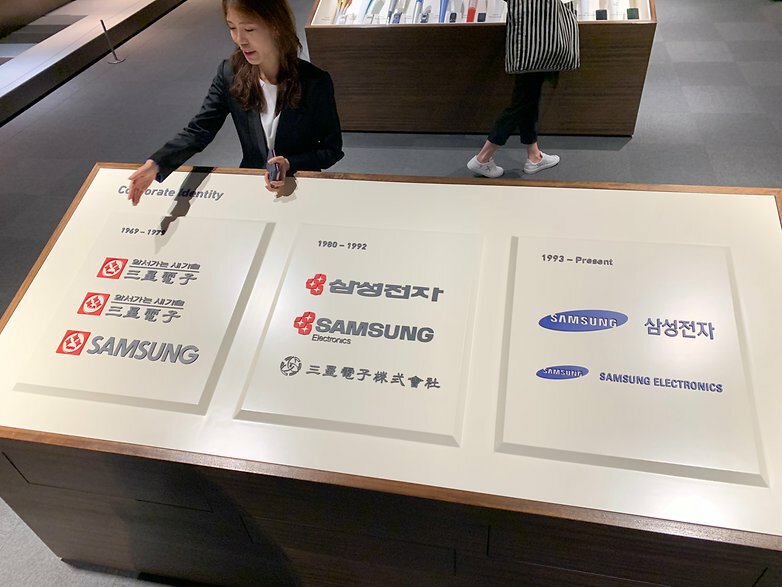 In the “Digital City”, a small town south of Seoul that consists of only Samsung, they showed us some of the innovations of Samsung Electronics. The early beginnings of electronics were television sets. Today, it’s hard to imagine what these things once looked like. But there were also washing machines, vacuum cleaners, refrigerators. Generally speaking, the word “innovation” has been almost used too often when it comes to Samsung. And often, from my point of view, it’s been used incorrectly. Not everything new, in my opinion, deserves the word innovation. Instead, what we’re referring to is actually just evolution. But I’ll talk about this more later: this is the problem facing the entire smartphone and electronics industry in its desperate quest for real innovation. Not everything new deserves the word innovation. And at the same time, this company has already produced many things, which at least I personally don’t think should be called innovative, but nevertheless are. AMOLEDs or even curved displays are a good example of this. The first foldable display will probably follow soon. We are told that here at Samsung they also work on many things that are supposed to change our lives, such as sensors in clothing or a contact lens with an integrated display. There is still so much to report about Samsung, or just about innovations. Stay tuned for the next part of our “Inside Samsung” series coming soon.